Smallmouth start showing up into the Lake Erie tributaries in the spring when the tributaries start to warm into the 50’s (late April) with good numbers arriving by May. Running up from Lake Erie in a spawning movement, they are thought to be a river strain of spawning smallmouth as opposed to the smallmouth which exclusively spawns in Lake Erie’s rocky shoreline shallows. During this upstream migration they invariably mix in with “drop-back” steelhead in the tributaries which have already spawned and are moving back to the lake. Streamer patterns that imitate Lake Erie baitfish such as round gobies, emerald shiners and rainbow smelt are killer for these fish. Crayfish, sculpin and large nymph patterns are also very effective. Top water bass flies will work when the water starts to warm up.>An exciting way to catch tributary “smallies” is with a down-and-across swing presentation using a sink tip fly line. A slow and deep presentation through streambed shale ledges and cuts and near boulders and fallen logs will produce smallmouth. 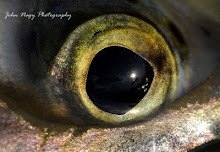 It is not uncommon to think you have hooked a drop-back steelhead on a swing but turns out to be a hard hitting and fierce fighting smallmouth. 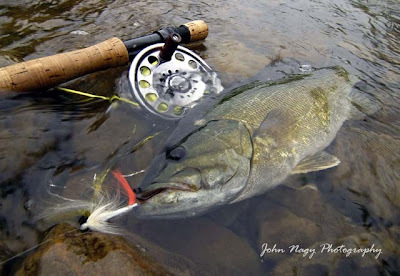 Some of the bigger tributary running smallies actually are better fighters than most spring drop back steelhead which (although having voracious appetites) seem de-energized from wintering over, spawning-out and enduring the gaunlet of fisherman. 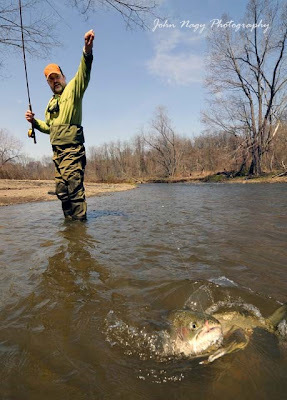 (The exception would be late winter/early spring arriving Little Manistee strain steelhead which have all the fighting ability and more of fall running steelies). 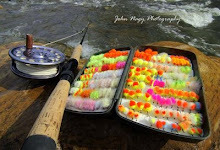 Lake Erie tributary smallmouth fishing in the spring has a lot of pluses. A variety of fish are available to be caught, pleasant weather conditions are the norm and most of the crowds chasing “chrome” are gone, leaving solitude a refreshing companion for the fly fisherman. 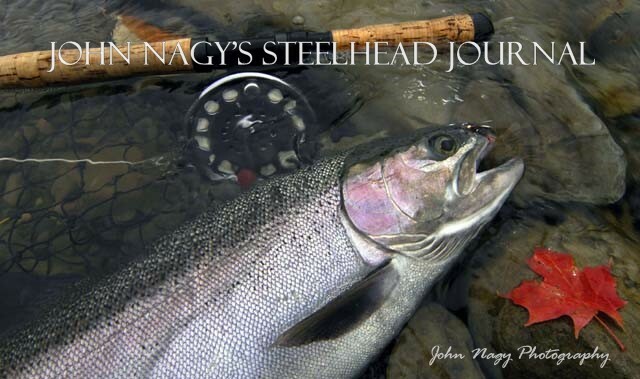 More detailed information on Great Lakes tributary fly fishing can be found in John Nagy’s book “Steelhead Guide, Fly Fishing Techniques and Strategies for Lake Erie Steelhead”.